I’ve read plenty of books over my reading lifetime however I don’t seem to do well on any of the “must read” books of our lifetime nor former lifetimes for that matter. I just read what I’m interested in. I came across one of those must read/important books lists recently and one of those books was Things Fall Apart by Chinua Achebe. I’d seen it reference many times, heard those who’ve read it loved it and it was decided on Google+ that we’d discussed it. Also Mr Achebe recently passed away. No time like the present to get this in. 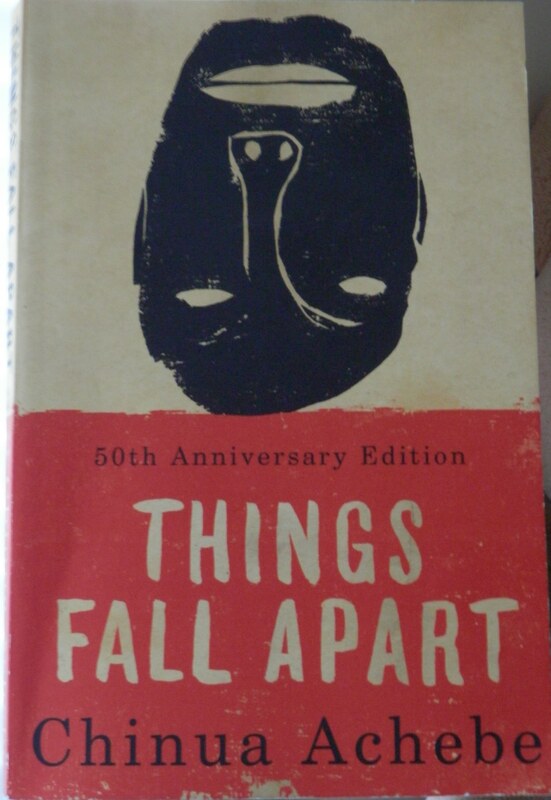 Things fall apart follows the story of Okonkwo a man’s man, warrior and leader in the village of Umuofia. He was the son of Unoka, a lazy man of no means in the eyes of Okonkwo. His disdain for his father (who had already passed) was palpable. So much so that he just assume disassociate himself from him. Okonkwo rules his children, his women and others entrusted to him with an iron fist as that is the way of real man. There is no bend in Okonkwo and for that he is respected and consulted with on decisions as it relates to his village. A staunch upholder of tradition, he’s done all that he’s needed to do to ascend the ranks in his village he’s ever so close but yet so far once he commits an act that sets him back and exiles him from his home village to be with his mother’s family for 7 years. For a man of action and work, seven years was an eternity. Though gratefull to be taken in and provided land to make a living he was eager to get back and re-establish himself.Upon his return to his home village he finds a place very different from whence he came due to the arrival of missionaries. The impact these missionaries had on his village proved to be one in which even he could not overcome. In Things Fall Apart, Achebe tells a story that is beautiful and frightening at the same time. The stories told by the women and children, the ceremonies, the colors and the foods rest alongside the brutality, disregard and disrespect laden upon persons who are considered “lesser”. Achebe was successful at pulling this reader in and making her leave the book with eyes and mouth wide open.